Jennifer King graduated from Harvard Medical School, and completed her internal medicine residency at Harvard-affiliated Massachusetts General Hospital. 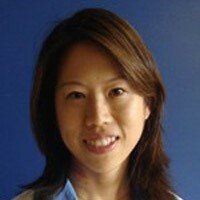 After completing her rheumatology fellowship at UCLA, she has remained on faculty since 2008. Her clinical interests include general rheumatology, Sjogren’s syndrome, systemic lupus erythematosus, osteoarthritis, rheumatoid arthritis, systemic sclerosis, musculoskeletal complaints and gout. She has received multiple patient service awards for excellence in clinical care, diagnostic acumen, and bedside manner. She also embraces complementary and alternative medicine as adjuncts to gold standards of care for chronic conditions. Dr. King is a translational researcher with a special interest in B cell mediated autoimmune diseases, including but not limited to Sjogren’s syndrome, systemic lupus erythematosus, and rheumatoid arthritis. She is the Chief Fellow in her Specialty Training and Advanced Research (STAR) class and studies the role of non-coding RNAs in regulating autoimmune diseases. In the Rao lab, she is working on the role of microRNAs in B-cell development and function in a miRNA knockout showing features of autoimmunity.